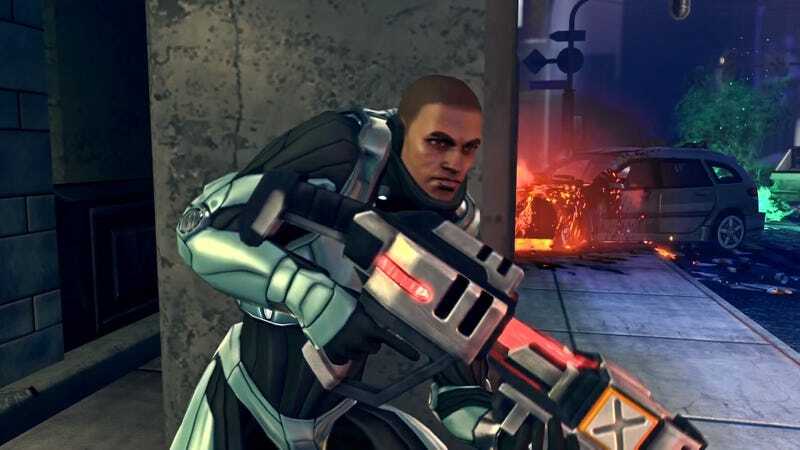 Creator of Original X-Com Thinks the New XCOM Is "Addictive and Absorbing"
No one was sure that XCOM: Enemy Unknown would please fans of the original X-Com. The remake's lead designer Jake Solomon counts himself amongst the devotees of Microprose's sci-fi strategy game and even he wasn't certain the team at Firaxis could recapture the appeal of the original. "I think Firaxis has done a great job… The game is addictive and absorbing, not to mention quite challenging on the classic difficulty setting." "That's good, man. The guy's a legend. It's a weird situation. You know he's still out there, you know he's going to end up playing it - and you just admire the guy so much." Gollop finds himself in a similar position as he's working on a new version of 1985's Chaos. Remakes will come and go and quality will vary but it's nice to see creators of different eras able to appreciate and build off of what happens in the past and present.